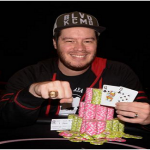 Ben Armstrong concluded his day being chip leader on day 2 of $1,675 buy-in No-limit hold’em. The player has total 287,000 in chips. Total 111 players remained in business on day 2 of this particular main event. Tulsa Hard Rock attracted 223 entries on Day1A, while another 349 entries on Day 1B. It means total 574 players participated in the game. 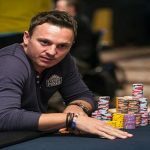 Only 44 players survived in the game on Day 1A and it was Armstrong did the job and collected most of the chips on first day of the game. Meanwhile 67 out of 349 entries of second day play survived in to the play on Day 1B and that means a total number of 111 players are remained in to play and they will meet on Day 2A. Here are other players who have survived and will face-off on next day of play. 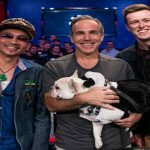 Roger Franco is at second place with total 257,500 in chips. Hoan Nguyen is at third place with total 254,000 chips. Rodney Spriggs is at fourth place 239,500, Steve Bierman completed at fifth place and has 236,000 in chips, Josh Mammon is at sixth place with total 233,500 in chips and Jose Anaya is at seventh place for 230,000. 8, 9 and 10th places are for Thad McNulty (228,500), Martin Ryan (225,500), and Jason Strasser(220,000). The tournament attracted 574 players and generated $861,000 as total prize pool. Top 63 places of this match would take home at least $2,815. The winner of this tournament will not only collect the trophy but he would take home an amount of $180,806 as first prize. 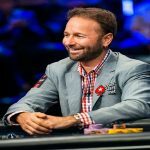 Some other notable players who are still in business and looking win real cash on Sunday are Ari Engel (the eight-time ring owner,160,500), Maurice Hawkins (nine times WSOP gold-ring winner, 150,000) and Josh Turner 9a five time ring winner).